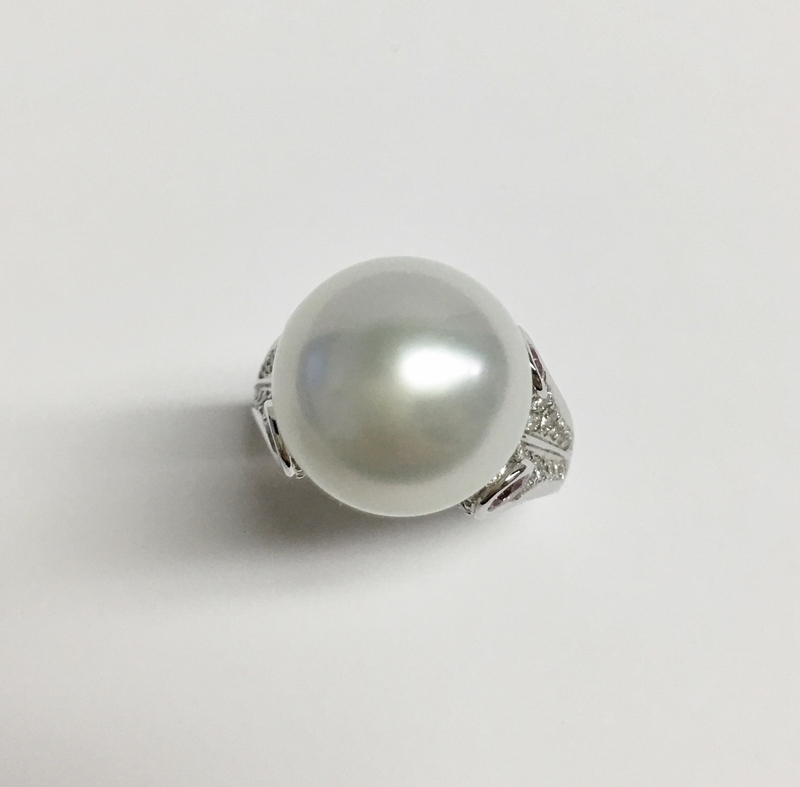 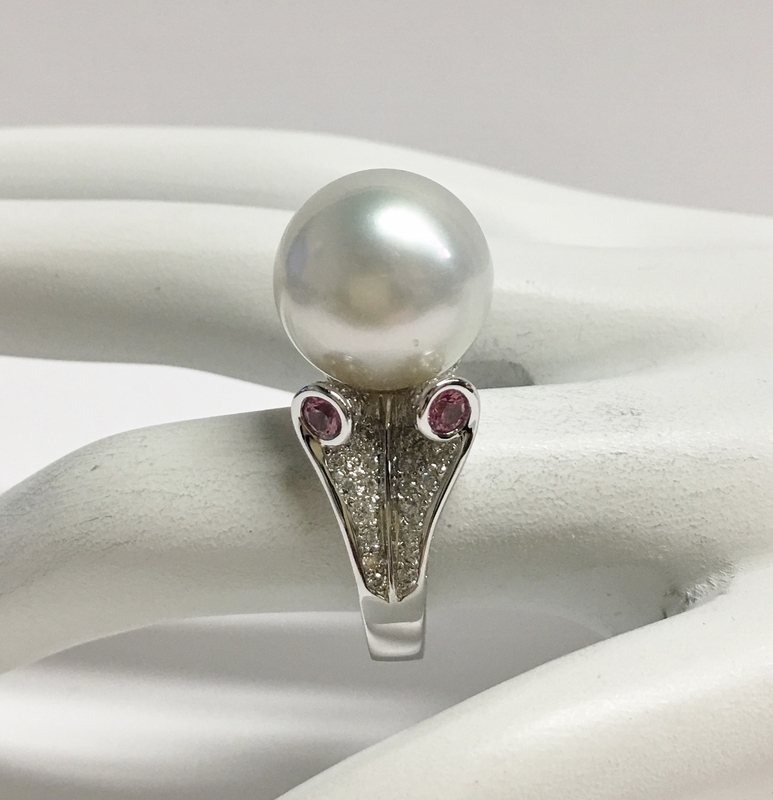 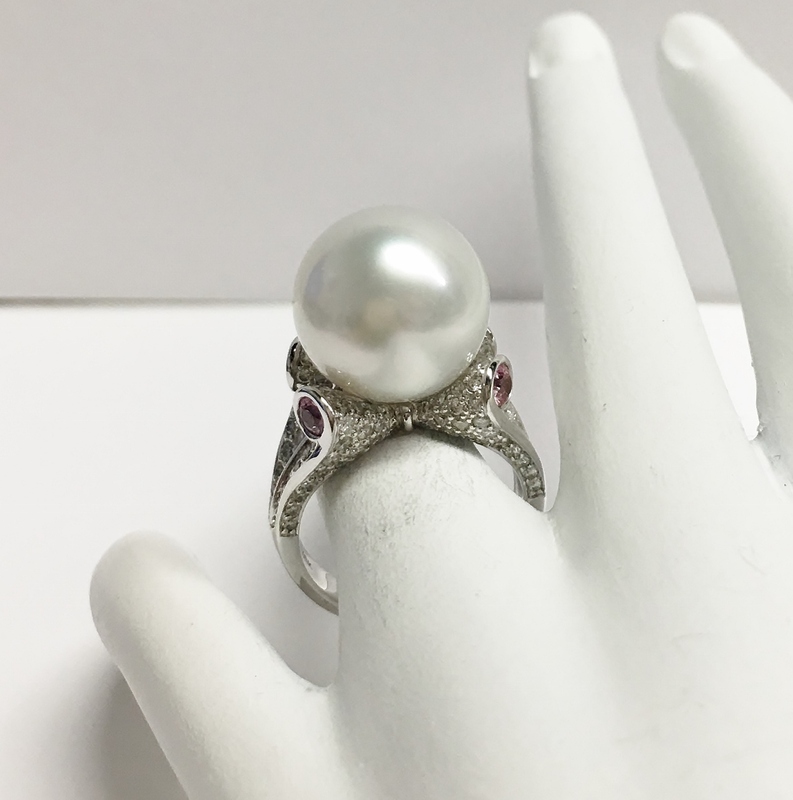 An 18K white gold ladys ring mounted with a perfectly round white South Sea pearl measuring 14 millimeters. 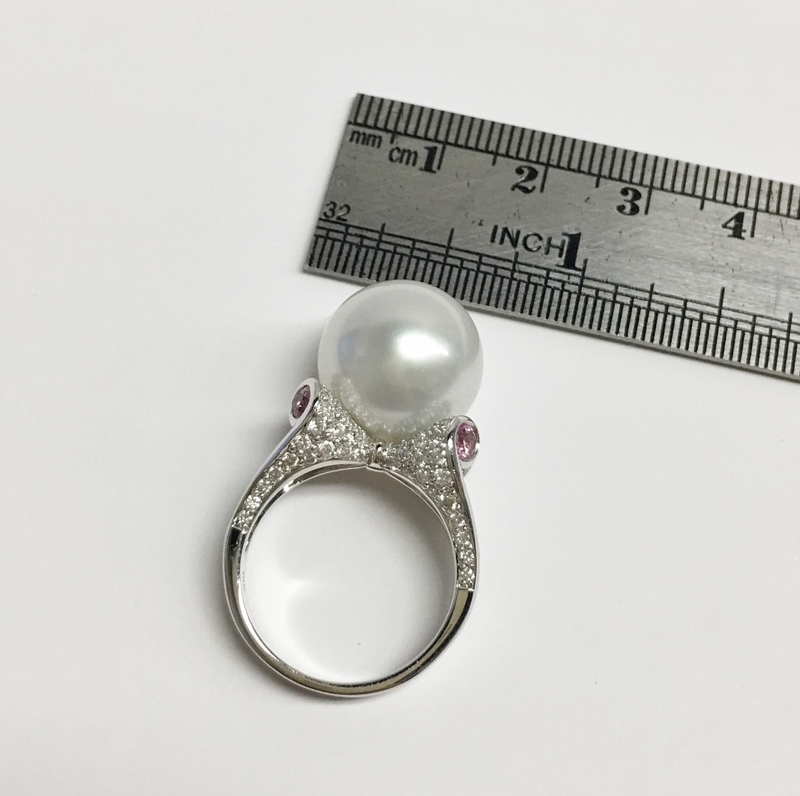 Accented to the ring are 4 round cut pink sapphires weighing approximately 0.50 carats total weight and 144 round cut pave-set diamonds weighing approximately 1.35 carats total weight. 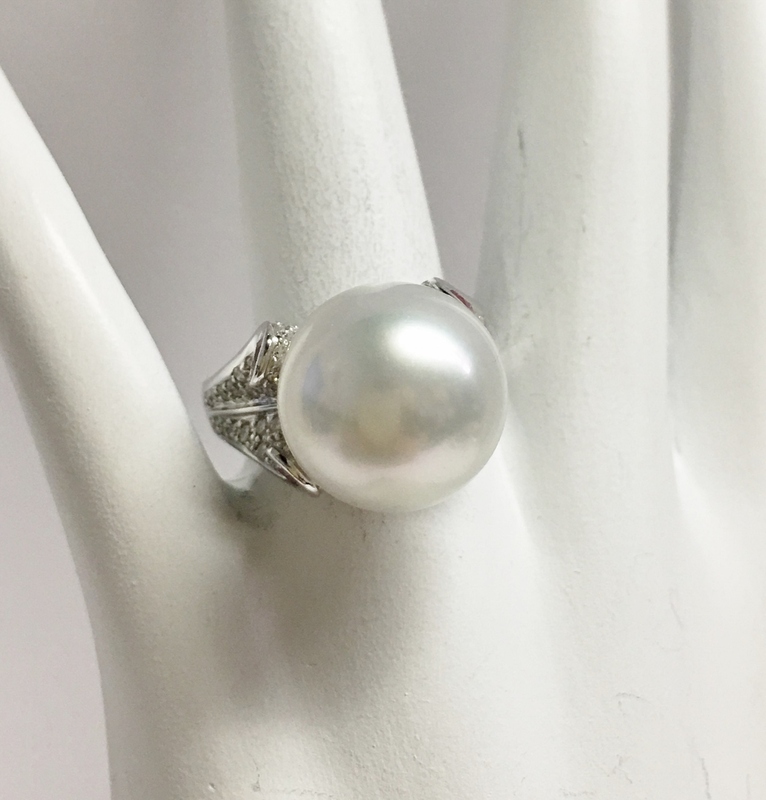 This size 7 ring weighs approximately 12.60 grams.